London Wasps will sign Italy prop Lorenzo Cittadini from Benetton Treviso for next season. The 31-year-old tight-head will join international team-mates Andrea Masi and Carlo Festuccia at Adams Park. 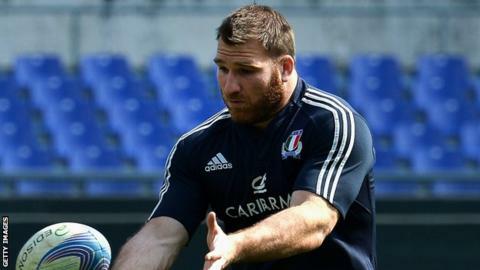 He has played 32 times for Italy and started in the Six Nations defeat by England in March after four replacement appearances in the competition. "I rate him as a very good prop at the highest level," said Wasps director of rugby Dai Young. "We've got some very good young props here at Wasps who will learn a lot from working with him. "We want to build a squad which has strength in depth in every position and bringing in players like this will help us continue to build on that aim."